Built by Júdice Costa. Opened 24 July 1909. Rebuilt in the 1980s. 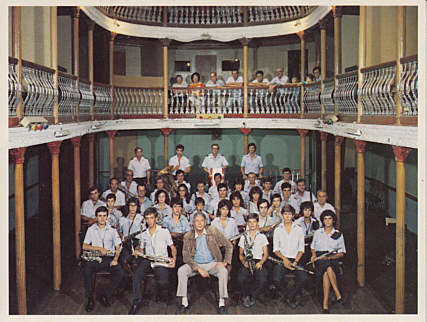 Reverse Text: "Silves, Banda Filarmonica Silvense, Teatro Mascarenhas Gregório"